What might this mean, to love God with all your mind? This doesn’t happen by your sitting around, imagining about God, and expecting Him to come and “zap” you with wisdom and knowledge. He could do that, of course. He has never promised to work that way, however. On the other hand, He has clearly promised through the Scriptures to thoroughly equip His people for every good work (2 Timothy 3:16). When you read the Word, ponder its teaching, perhaps ask your pastor questions about it and discuss what it means for you in everyday life, it’s a way of devoting your thinking powers—your mind—to the love of the Lord, Who loved you first. The deeper you go into Scripture, the more you discover that using your mind this way is not primarily about knowing facts. No, the truths the Lord reveals are there to drive you closer to Jesus. St. Paul put it like this, “I want to know Christ and the power of His resurrection and the fellowship of sharing in His sufferings” (Philippians 3:10). He wanted to use his mind—not merely to get hooked up to more information but to get more hooked up to his Saviour Jesus. I’m convinced we need more of the Christian faithful to love God with their minds better than believers often do. If someone objects that Jesus told us to become like little children, it’s important to remember that little children aren’t satisfied to stay where they are. They’re always striving and struggling to reach higher, to grow stronger, to understand better. 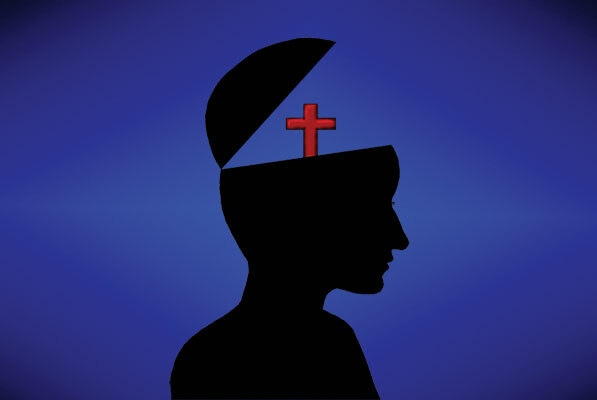 We need more of the Christian faithful to love God with their minds better than believers often do. The world where the Lord has placed you and me is becoming more challenging to Biblical Christians with each passing year. It’s time to put our minds to work to grasp more sharply what God is teaching in His holy Word, and to ponder the strongest way to use what He teaches to respond to the ideas around us. “Prepare your minds for action,” wrote Peter at another challenging time (1 Peter 1:13). I expect it would take many years of reading, praying, talking and pondering to reach the point where you’d be like the old pastor who said, “I’m thinking about God all the time.” But the One Who commands you to love Him with all your mind is ready to form in you the mind of Christ more fully with each passing day, month and year.